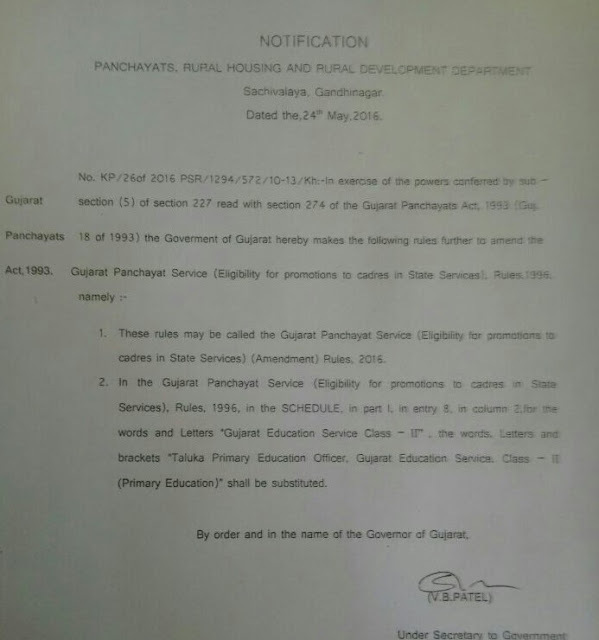 GUJARAT EDUCATION SERVICE CLASS 2 TPO TALUKA PRIMARY EDUCATION OFFICER RELATED LATEST NOTIFICATION DATE :- 24/5/2016. VALSAD :- SMC/CRC/BRC INTENRAL AUDIT BABAT LATEST PARIPATRA. 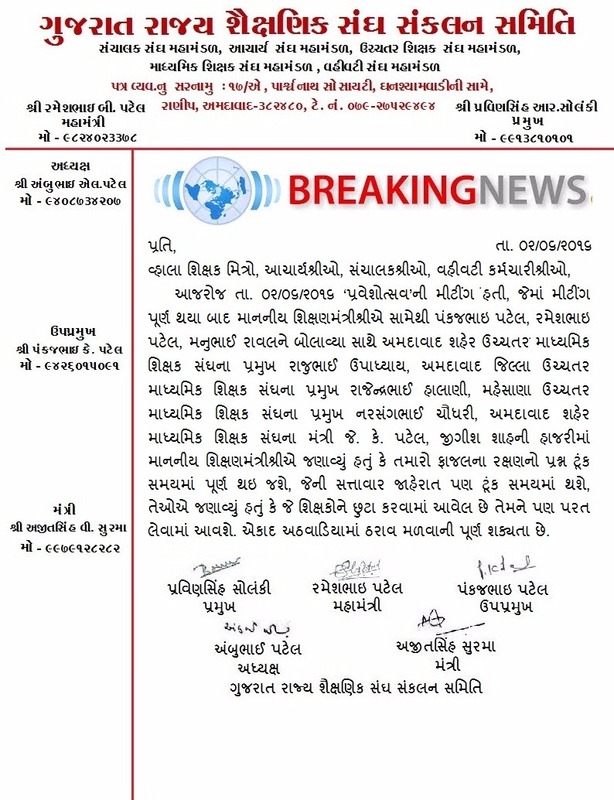 CHHOTA UDEPUR :- SHALA PRAVESHOTSAV 2016 NA AAYOJAN BABAT PARIPATRA. 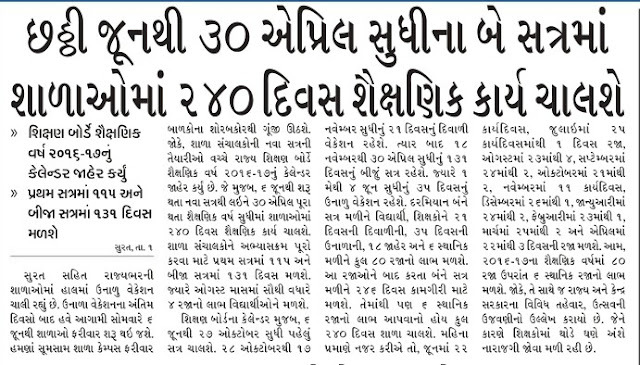 6 JUNE THI 30 APRIL SUDHI MA 240 DIVAS SHAIKSHNIK KARY CHALSHE.- NEWS REPORT. 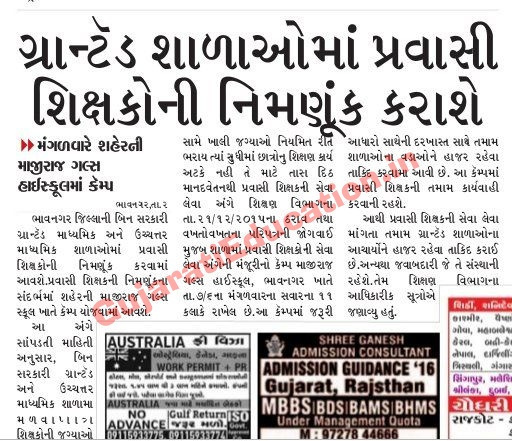 BHAVNAGAR :- HIGH SCHOOLS MA PRAVASI SIXAKO NI BHARTI KARASHE. 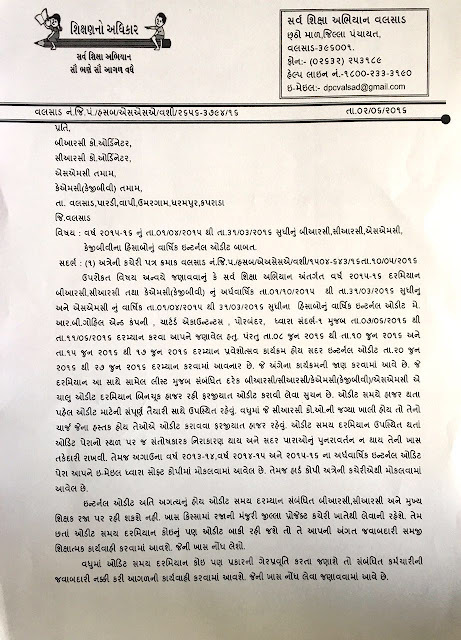 PACHIM KUTCH MA 714 POLICE NI GHAT. FAJAL NA RAXAN NO PRASHNA TUNK SAMAY MA NIKAL THAY TEVI SHAKYATA. 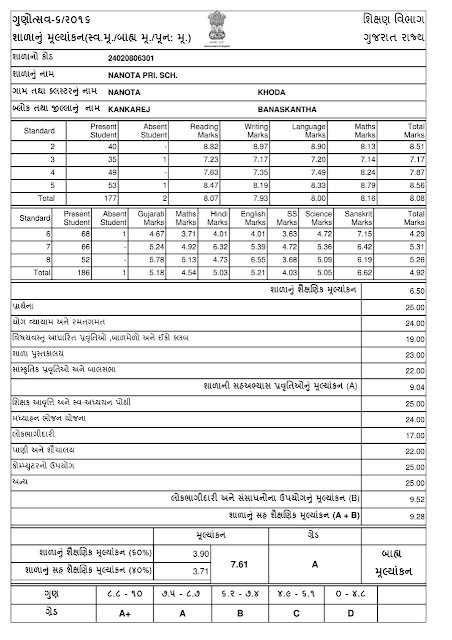 GUNOTSAV 6 2015-16 ALL SCHOOL RESULT & GRADE DECLARE NOW. Atyare High Trafficna karne Website Hang Thai Chuki chhe..etle kadach joi n Shakay...pan Proof Tarike 1 Report card muku chhu. 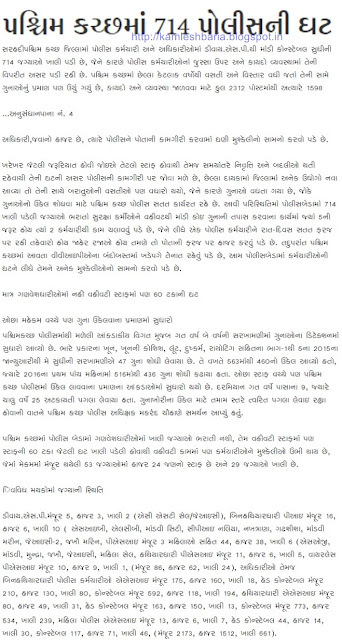 NOTE:- AMUK DISTRICTS NA J GRADE UPLOAD THAYEL CHHE. 24020806301 na Badle Tamaro Dise Code nakhi Check Karo. --> CLICK HERE TO CHECK YOUR GUNOTSAV RESULT. BREAKING NEWS :- GUNOTSAV -6 GRADE DECLARE OF 6840 SCHOOLS. CRITERIA 1 SCHOOLS LIST:- CLICK HERE. 513 SCHOOLS LIST. CRITERIA 2 SCHOOL LIST :- CLICK HERE. 629 SCHOOLS LIST. CRITERIA 2 SCHOOL LIST :- CLICK HERE 5698 SCHOOL LIST. 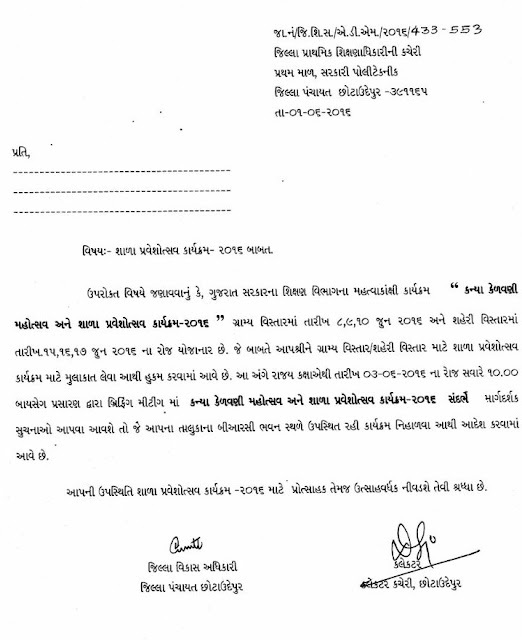 High court of Gujarat has declared List of Eligible Candidates for the Post of Translator (Class-III) for the Translation Test to be conducted on 03/07/2016.